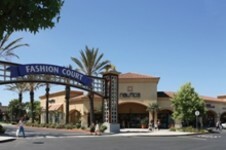 Boasts more than 160 factory outlet stores, offering 25 to 65 percent savings on designer clothing, sporting goods, shoes, home furnishings and leather. Ann Taylor Factory Store, Barneys New York, Gap Outlet, Guess, Neiman Marcus Last Call, Rock & Republic and Saks Fifth Avenue Off 5th are just a few of the apparel outlets. Also find Coach, Kate Spade, Nike, Skechers and more.